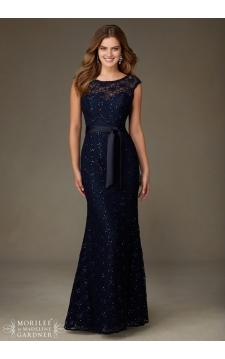 PLEASE PLEASE PLEASE, Don’t wait until the last minute to select your mother of the bride dress. We know that time fly’s by when you are preparing for your daughters wedding, but waiting the last minute to select your dress will only stress you out. The experts here at Providence Place will be glad to help you select the right dress, right color in your correct size. We just received a selection of beautiful mother of the bride dresses. This beautiful Mori Lee dress would look fabulous on any body type. The color navy would be a great neutral color and very slimming. This dress is light and comes in array of colors. The top has just enough added bead work to make you look amazing for photographs. Providence Place Bridal shop also carry’s designer Ursula of Switzerland. Their dresses are beautiful and come in various colors. We have been seeing many mothers selecting pant suits also. The lace on the dresses and pant suits travel well. When your selecting your dress color, we recommend to going with a complementary color. Definitively do not choose the same color as the bridesmaids, but select a color in the same family.